You don't need to be Jerry Seinfeld to know the air-cooled Porsche 911 market has absolutely exploded over the last decade, especially when it comes to Stuttgart's assorted special editions and ultra-exclusive production runs. So it's hard to say what's more surprising—the microscopic mileage on this 1993 Porsche 911 Carrera RSR 3.8, or the fact that it just sold for $2.25 million at RM Sotheby's Villa Erba event this weekend. 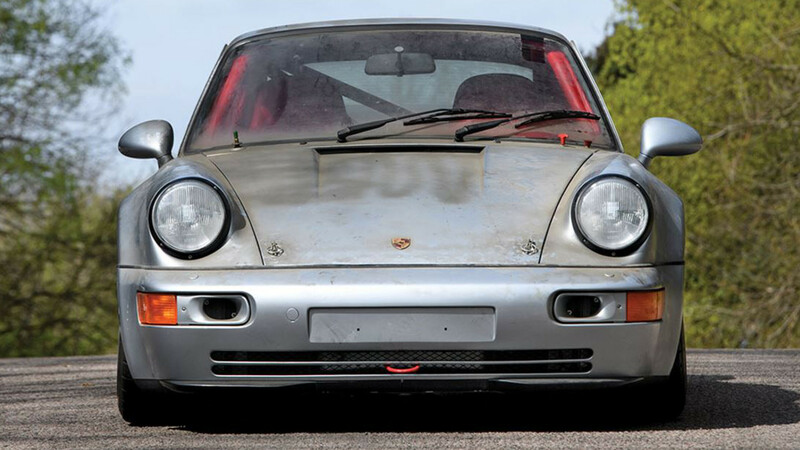 Yes, it would appear that the most patient person in the world bought one of just fifty-one 964 Carrera RSRs, a race-ready monster with a 350 horsepower 3.8-liter flat-six, giant disc brakes, and a built-in roll cage, and stashed the thing in their garage for over two decades without so much as a second drive. Whether it was temporary amnesia or an iron-willed investment plan, the result is a literal time capsule. And a whole lot of cash. The car is a study in contrasts. On the outside, underneath all that dust and a factory Cosmoline coating, the Polar Silver Metallic body is nicely subdued even with those amethyst wheels and that big old wing. It almost looks like a desaturated photo, until you open the door and step into what appears to be HAL's central core. 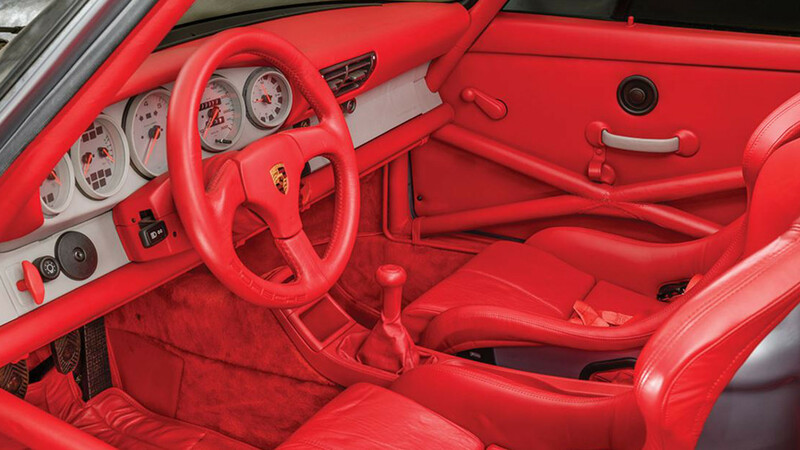 The entire thing—floor, ceiling, racing seats, roll cage—is covered in a shade of red so vivid it would have been blacklisted from Hollywood in the fifties. It's interesting how that color can look so good in a Porsche and so bad in a Dodge Aries. 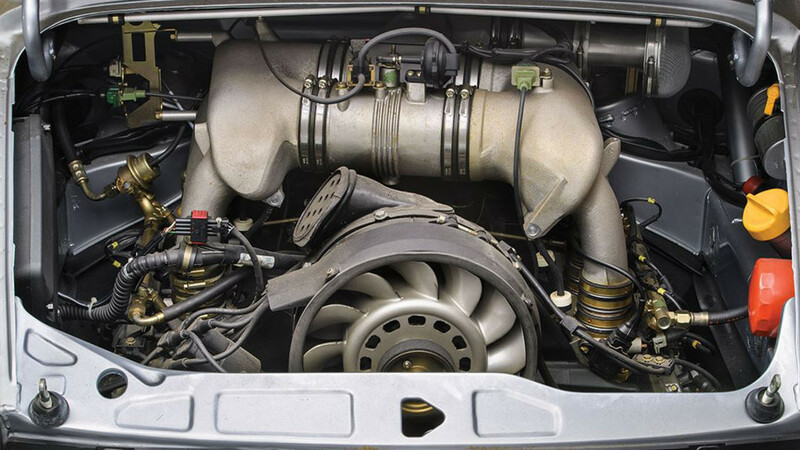 At $2.25 million, it sold for more than this 1988 Porsche 959 Sport we featured earlier this year. 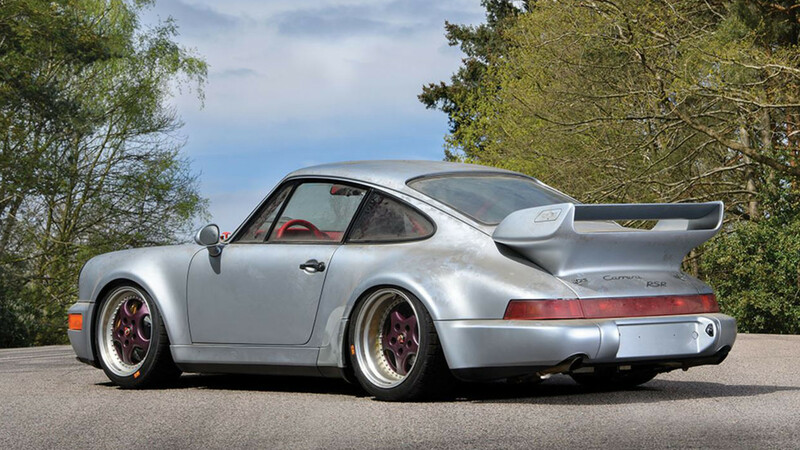 Part of that is due to the 10-kilometer odometer, but it's also an indication the air-cooled 911 collector's market has yet to find a peak. Should the lucky buyer spend another boatload of cash on replacing all parts that have undoubtedly atrophied over time, they'll have themselves a brand new track toy with a glorious naturally-aspirated soundtrack that can beat a Ferrari F40 from 0-60 mph at 3.7 seconds. Unless it's headed for another 25 years in storage, of course.